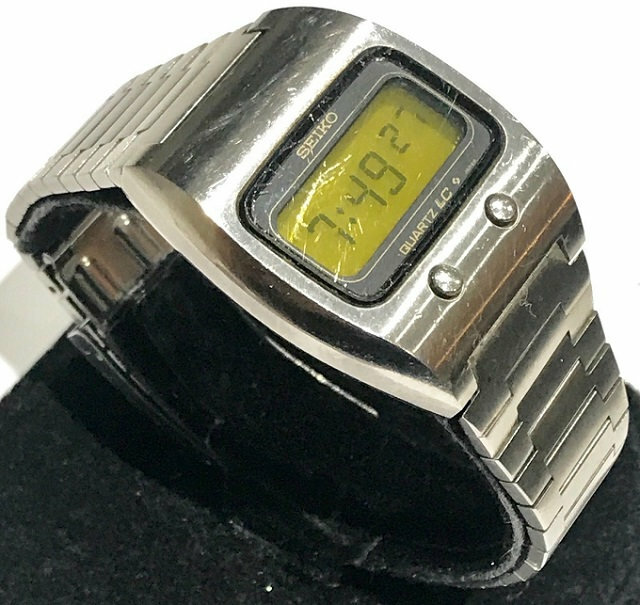 DWF - The Digital Watch Forum • View topic - How to repair Seiko 0624 crystal ? How to repair Seiko 0624 crystal ? I have just bought this beautiful Seiko 0624, but the crystal has some scratches. 2) If it's noy possible to erase the scratches with the polywatch, is it easy to change the crystal ? Re: How to repair Seiko 0624 crystal ? 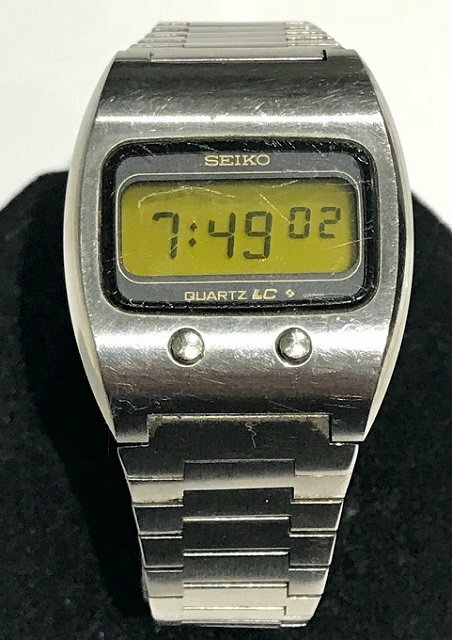 Given that this is a Seiko Quartz brand I highly suspect the face should be a mineral crystal. The best way to check is to tap it and listen if you have a high frequency most likely it is a crystal, if it has a dull sound it's plastic. You can also check by its reflection. A plastic will have a warped reflection where as a crystal will have a non-distorted reflection. Regarding the finishing, if it is a mineral glass you it would be best to remove the crystal from the watch or mask off the steel area. I usually use a 1000 grit wet sand paper and slowly grind away the crystal until all the deep grooves have been removed. It takes patience however it does payoff dearly if you can't find an new old stock replacement. I finally finish it off with Cerium Oxide (glass polish). Again, takes a lot of time and muscle power, however you are paid off with a perfect crystal. Make sure the crystal is flat on the wet sand paper, you don't want to start beveling the sharp edges. Removing the crystal from the case could also help with the case restoration work as well. Nice watch and a great find! I have also tackled a few Seiko crystals with some success. I start with 1000g sand paper and work down to 2400g I think it is. The I swap over to diamond paste working my way towards the fine ones which I use on an old leather belt. (Belt flat on the table, paste on the belt and hold the crystal flat on it making circles). If you do with the the tv or something on it doesn't seem so bad! One other tip - I use a smallish plastic sucker (I have several sizes, they were about 10p each) to hold the crystal, saves my fingers a lot of grief. I agree to follow up with the 2400 g wet sandpaper to remove the rough scratches from the 1000g paper. I never thought about using a suction cup to hold the crystal. I've had many events where I used my hand to hold the crystal only to have my skin being sanded down! 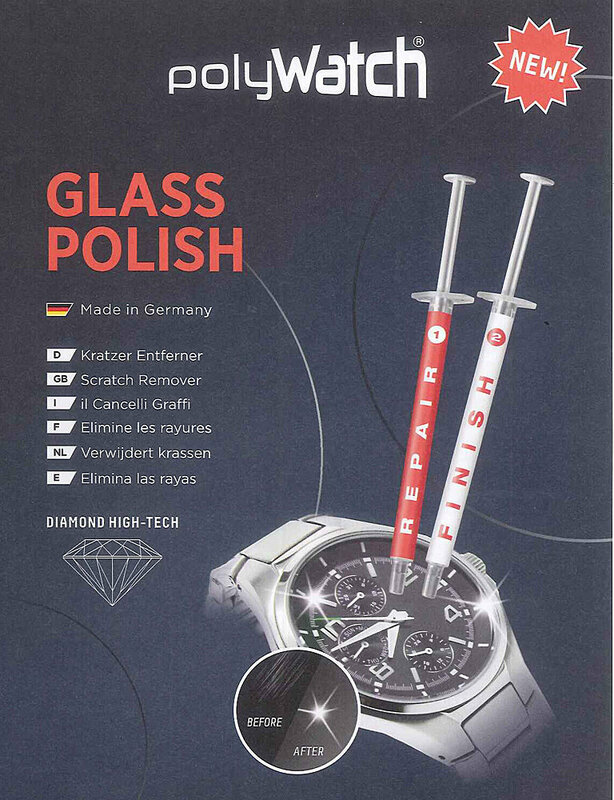 I just found this on internet, it’s a new Polywatch product for glass, has anyone ever tested ? This looks interesting. I have made very good experience with the small Polywatch Polishing Tube. anyone bought the Syringe-Set so far? I have not used this, however in order to remove any crystal scratches you will need to sand down the entire surface if you want to remove all scratches and have a flat crystal surface. Just polishing the affected area could create an uneven finish, like a polished pot hole on your crystal. Hopefully this is not one of those "as seen on TV" super magic scratch remover for cars and watches! In my opinion it will take some patience, sweat and dedication to get that perfectly smooth restored crystal finish using the old school methods of wet sanding an progressive polish finishing steps. coconutman351 wrote: I have not used this, however in order to remove any crystal scratches you will need to sand down the entire surface if you want to remove all scratches and have a flat crystal surface. Just polishing the affected area could create an uneven finish, like a polished pot hole on your crystal. Hopefully this is not one of those "as seen on TV" super magic scratch remover for cars and watches! In my opinion it will take some patience, sweat and dedication to get that perfectly smooth restored crystal finish using the old school methods of wet sanding an progressive polish finishing steps.